Earlier this month, UCL Qatar joined forces with various partner organisations in a series of public events exploring the city of Doha’s architectural history. 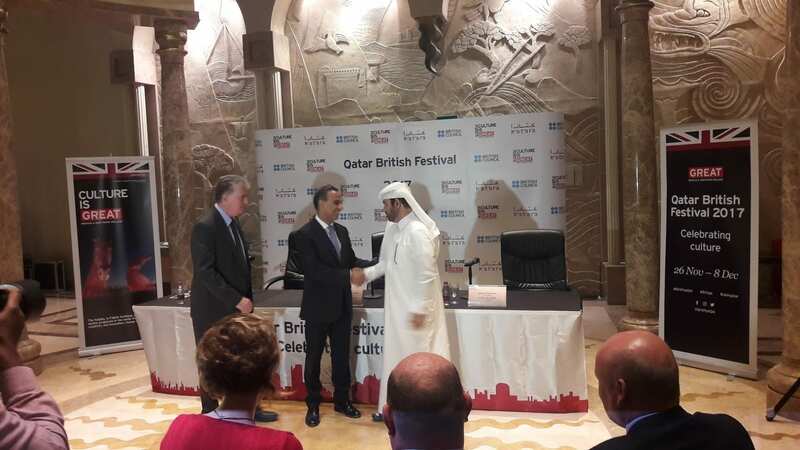 Most notably, the British Council Qatar’s fourth annual British Festival included a panel discussion and exhibition brought to the festival thanks to the ongoing partnership between UCL Qatar and Qatar University’s College of Engineering. ‘The Streets of Doha’ panel featured the winners of the Unlimited Doha Design Prize (Deena Terawi, Gizem Kahraman, Ming Teong, Can Askoy and Alex Scott-Whitby) along with special guest speakers including Ibrahim Mohamed, CEO & Chief Architect of Jaidah Group and Dr Fodil Fadli, Head of the Department of Architecture and Urban Planning at Qatar University. The panel’s wide-ranging discussion covered the distinctive character of Doha’s architecture, the transformation of the city’s built environment and its impact on architectural identity, everyday life and public space. 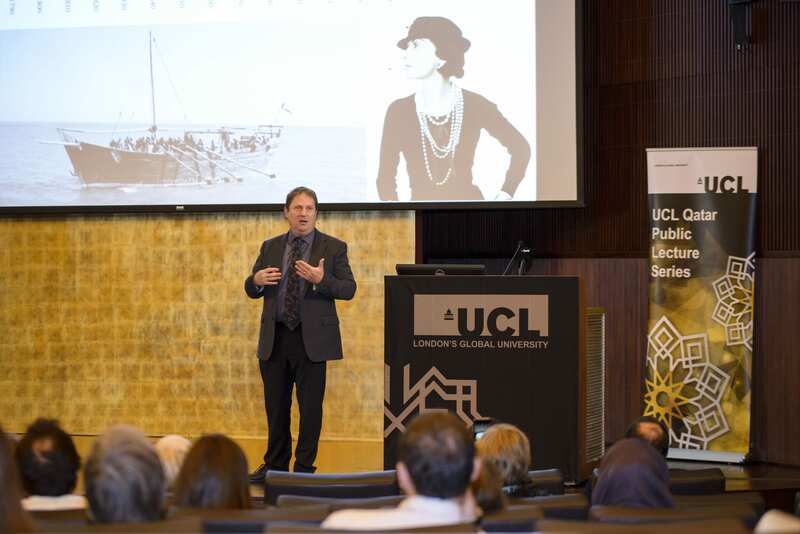 Professor Rob Carter, Professorial Research Fellow and Research Lead at UCL Qatar, was in the 120-strong audience to hear the discussions take place. Speaking about the event he said, “UCL Qatar is honoured to participate in this year’s British Festival as the British Council educational partners. Along with the panel, an exhibition showcased the Doha Unlimited Design Award 2016 prize-winning team’s vision for the city. Awarded by the British Council Qatar, the competition saw UK- and Gulf-based designers take part in a week-long design residency under the theme of ‘The Open City’, with a particular focus on mobility and making Doha more open and accessible to all. The lecture provided further evidence for the breadth of UCL Qatar’s collaboration with external partners. The latest milestone in the successful architectural collaboration between UCL Qatar and Qatar Museums, Carter and Dr Ferhan Sakal, Head of Archaeology Operations of Qatar Museums, shared updates on recent achievements of the partners’ Qatar Old Doha Rescue Excavation. The excavation helps to document lives of the people of Doha, from the town’s foundations being laid in the early 19th century through to the impact of the discovery of oil in the 1950s. Following his talk, Professor Carter said: “Together with our partners at Qatar Museums, we have made remarkable progress in uncovering news and important aspects of Qatar’s rich history, building up a detailed understanding of the country’s past. The Africa & Middle East Regional Network is excited to be hosting its second regionally focussed event, this time exploring UCL’s work in the Middle East. Following the success of Knowledge Africa in June, UCL in the Middle East will take place on Friday 16 September, between 1-5pm in Roberts 110. There will be the chance to find out more about different initiatives and opportunities through presentations and a photo exhibition. Students are also encouraged to take part by submitting a poster illustrating their work for display. Peering through a microscope, Eleni Asderaki-Tzoumerkioti carefully scrapes at the blue-green corrosion covering a metal artifact. Eleni has been a conservator of antiquities since 1978, and is an Honorary Research Associate at the UCL Institute of Archaeology since 2002, and at UCL Qatar since 2012. She specialises in metals with an extra research interest in glass and pigments. This expertise guides her as she conserves artifacts excavated during the Joint QM-UCL Qatar Old Doha Rescue Excavation in 2013-2014. Conservation of these artefacts is critical; after excavation the artefacts can corrode remarkably, sometimes disintegrating completely while kept in storage. Conservation work both preserves artefacts and can help archaeologists identify details that were missed in excavation or obscured by corrosion. The Joint QM-UCL Qatar Old Doha Rescue Excavation team recovered several metal objects including coins jewlery, padlocks, daggers as well as objects for everyday use. Through conservation, Eleni has brought the artefacts back to life. Delicate scrollwork adorns the padlock that Eleni is working on, but when she turns the padlock over, there is a big surprise: the padlock has been forced open! There is a large puncture in the back of the padlock, only revealed under the careful work of a conservator. Eleni also X-rays the objects, revealing their inner workings, She then determines what they are made of through non-destructive XRF analysis. As research continues on the artefacts revealed by the Joint QM-UCL Qatar Old Doha Rescue Excavation, we gain insights into daily life in early 20th century Doha. Dr Jose C. Carvajal Lopez, Lecturer in Islamic Archaeology at UCL Qatar, reflects upon the establishment of the MA Archaeology of the Arab and Islamic World degree programme, and aspirations for growth. One of the privileges of teaching at UCL Qatar is to find highly motivated students who need only minimal guidance to set up and accomplish interesting and valuable research projects. The first generation of our students on the MA Archaeology of the Arab and Islamic World degree programme have addressed such varied issues as the ethnography of nomadic campsites in the Qatari desert, the technological transformations of Serbian pottery after the Ottoman conquest, the development of characteristic types of wares of the late Islamic period in the Gulf, the cultural connections of a piece of Fatimid woodwork conserved in Doha’s Museum of Islamic Art, and the creation of a recovery plan for the heritage of the war-ravaged town of Aleppo, Syria. Each one of these topics reflects the passion and commitment of our students, who have in many cases travelled long distances and adapted to a different culture in order to have the chance to give everything in their projects. The first generation of our students hailed from countries as diverse as Lebanon, Serbia, Qatar, Syria and the UK. The second generation, already preparing their dissertation, have added new countries to that list: Egypt, Italy, USA, Libya, Czech Republic, Mexico, Yemen and Jordan. And the third generation, just starting, includes students from such distant places as Indonesia, Spain and Canada, only mentioning those countries that have not appeared previously in this list. When looking at students across the whole department, enrolled on one of our five different programmes (MA Museum and Gallery Practice, MSc Conservation Studies, MA Library and Information Studies and Diploma in Academic Research and Methods), we teach more than eighty individuals from nearly 40 countries. 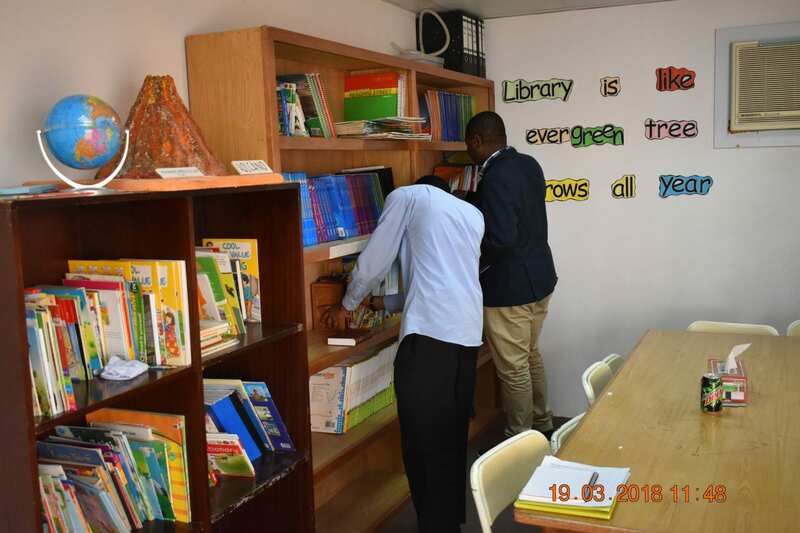 The environment is exciting and enriching, as cultural exchange between us, the UCL Qatar academic staff, and these highly motivated students forms part of our daily experience. The first generation of our archaeology students has set a very high standard, but this is in fact something that makes us proud and eager to follow up. Each single dissertation was a piece of innovative research that brings something new into the field of archaeology and, above all, conveys to the reader that the author loved and cherished the topic on which they wrote. This is a brilliant start, but it is nowhere close to where we want to go. The archaeologists lecturing and researching at UCL Qatar vibrate with the passion lived in this environment, and we do worry about providing our students with the opportunities that they search and have worked so hard to find. Our flagship projects in Qatar, Sudan and Egypt have provided numerous chances of internships for some of them, and our involvement in projects with institutions in Spain, Palestine, Iraq, Greece, United Arab Emirates, Jordan, Bahrain, Netherlands, Albania, Kuwait, Turkey, Uzbekistan and the UK have been exploited in field placements, exchanges and internships. The students demand and deserve more still: some of them look for projects and placements in Central Asia and India, and this is something that of course we take very seriously, as we are proud to be a Global University. This is ambitious, but it is not without a realistic aim: to provide our students with the chance to develop their own potential and to satisfy the passion that has taken them away from their more or less distant homes to a place where education and research are heads and tails of the same coin. UCL Qatar welcomed 51 new students from 27 countries on to its Master’s degree programmes and Diploma course in September 2014. The third intake of students to join the department, they are the biggest and most diverse cohort to date, reflecting the growing demand for the programmes both locally and internationally. UCL Qatar’s most popular programme continues to be the one-year MA in Museum and Gallery Practice, where 17 of the 51 new students are enrolled, closely followed by the one-year MA in Library and Information Studies with 13. The nine students enrolled on the Diploma in Academic Research and Methods are each aiming to progress onto their chosen Master’s degree programme in 2015. Among the nationalities, Qatar is the most represented, with Qatari students making up 24% of the year-group. 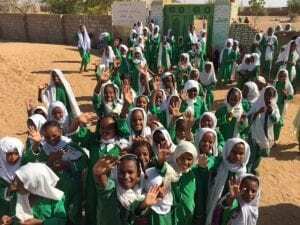 The majority of Arab countries are each represented, with students from Saudi Arabia, Yemen, Syria, Jordan, Lebanon, Palestine, Egypt and Tunisia enrolling this year. Outside of the region, students hail from the UK, Greece, USA, France, Spain, Somalia, India, Belarus, Montenegro, Malaysia, Ethiopia, Tanzania, Nigeria, South Korea, Canada, Pakistan, Kenya and Singapore. The programmes draw a combination of long-term Qatar residents and professionals, as well as students coming from overseas who hold a specific interest in the heritage and culture of the Gulf region. The majority of graduates remain in Qatar, pursuing roles in the rapidly growing museums and heritage sector. This year’s new students join 27 returning students who are enrolled on the two-year MA Archaeology of the Arab and Islamic World or MSc Conservation Studies, or who are undertaking a Research degree.